On March 2nd, we are hosting our 5th annual Seed Swap! 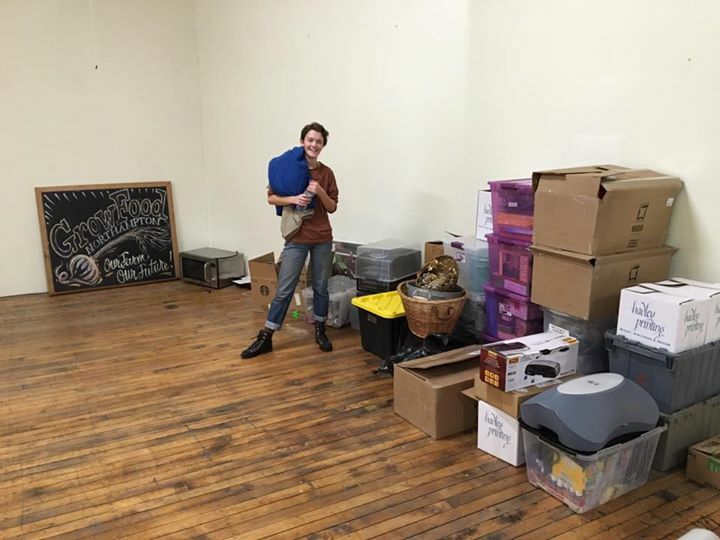 The Swap will be held at the Northampton Senior Center located on 67 Conz Street in Northampton. All are welcome– you do not need to bring any seeds to participate! Pick out seeds for your garden and share the seeds you saved from your garden or have purchased and don’t need. 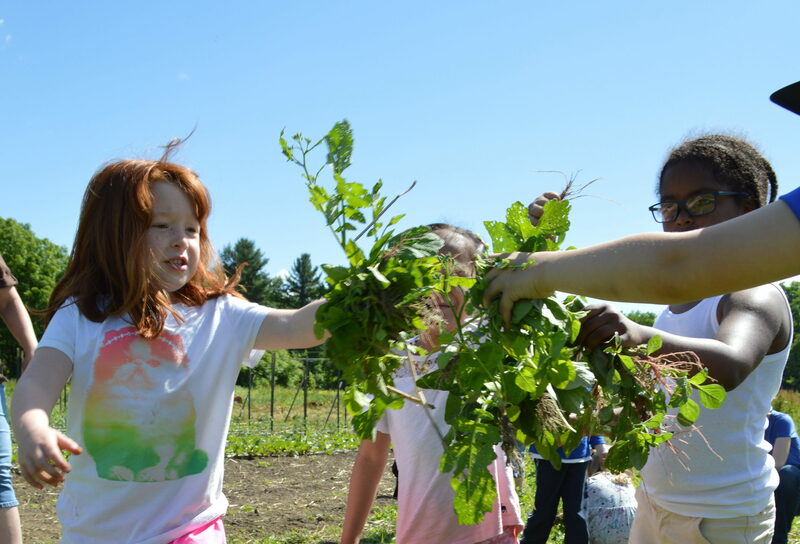 Meet other community members who are passionate about gardening and the local food system. Enjoy a hands-on activity for all ages and leave with helpful materials about seed starting and saving. This year we will also be adding a Gardening Book Swap. Bring spare gardening books to share and/or take some home to read up before the growing season. Schedule: Seed Drop-off starts at 9am and we hope most seeds will arrive by 10:30 for sorting. 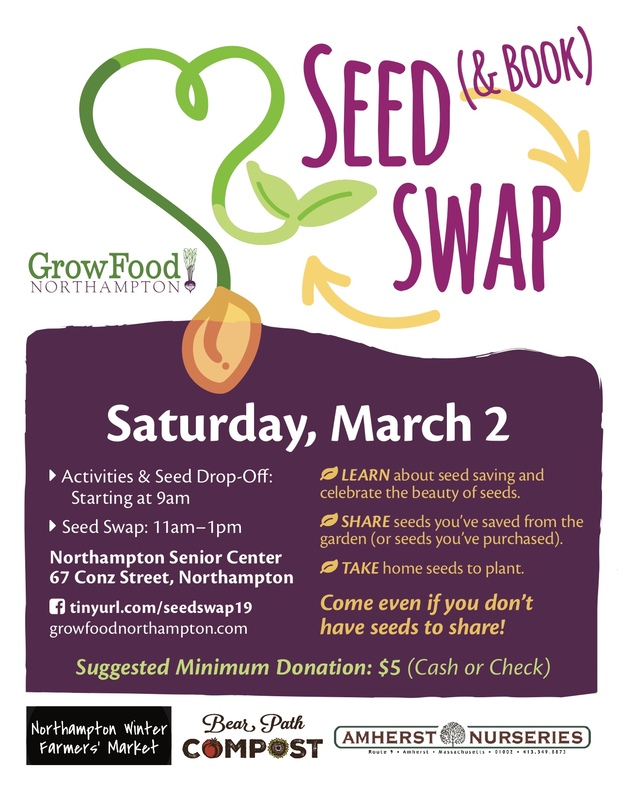 Seed Swapping from 11am-1pm. Activities for kids and others will be offered. Due to space limitations, we are not offering formal workshops. We encourage those with knowledge to share to identify themselves with name tags and invite others to strike up conversations! Suggested minimum donation $5, cash or check, for all who can afford it. 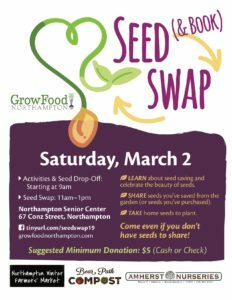 Those wishing to drop off seeds before March 2 can do so on Saturdays at the Northampton Winter Farmers Market at Northampton Senior Services, 67 Conz Street, between 9am and 2pm. Please label them with variety names, collection date, and information on whether they are open-pollinated or hybrids.